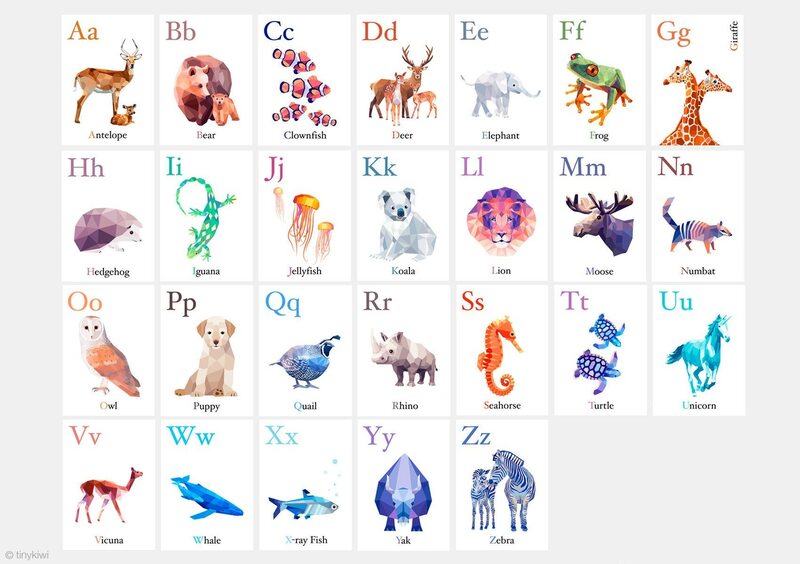 A beautiful, playful and unique set of ABC prints with 26 artworks by TinyKiwi Prints. This listing is customisable. If there are any letters you would like changed with another animals just message us before purchase. Custom order fees might apply. - Printed on 170gsm matte art paper. - High quality pigment inks, with vibrant long lasting colours. Prints are carefully packed by us between tissue paper, strong card and in a waterproof envelope.